Stay tuned below for giveaway information! Except, we do. All the time. Almost always, the cover is either the first or second thing we see. We may see the title first, if the book is spined out on the shelf, but if it’s faced out it’s the cover that first has the chance to catch our eye. That’s what’s going to bring us over to the shelf, that’s what’s going to make us pick up the book and investigate further. It isn’t the cover that makes us buy the book- the writing and the promise of the story is what does that- but the cover is the bait. 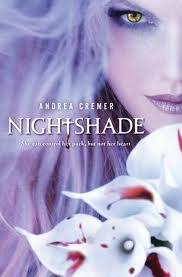 And because the cover is our first impression of the book, we make certain judgments based on that. We decide what ‘type’ of book it is, what the story is likely to encompass, who the target audience is, even what the tone of the book is going to be. The cover can make or break a book as far as getting it into people’s hands are concerned- and publishers are very aware of this. The covers are designed to make very specific impressions; let’s take a look, shall we? 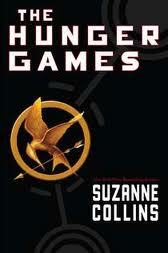 Compare that to The Hunger Games by Suzanne Collins. It’s striking (eye-catching) in its simplicity, stark contrasts, basic colors, a memorable design. It’s a strong image, a little military with the font and the clean lines, and then the bird with the arrow. We know right away that there’s going to be violence in this book; we know it’s going to be dark, we know the threats are going to come from multiple angles, and we know that arrow is going to be very, very important. Yes, the bird is as well, but even the way the bird is shaped draws the eye to the arrow. This is a cover that’s going to appeal to males and females alike. Just from the cover, we know better than to expect anything approaching light and fluffy. 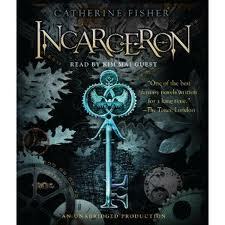 We also see this in Catherine Fisher’s Incarceron. The dark colors draw us in, especially given the contrast with the prismatic blues and silvers. Our eyes like the shiny in conservative doses, especially because the prisms make it seem false.. The skeletal leaves speak to ill health, the rusting machine components speak to decay, and the portions of number- like computer code- fascinate us. What do they mean? Are they counting down? Counting up? Listing things off? Up near the top we see the blending become more intertwined, but the page is dominated by the key. Keys are, by themselves, fascinating things, because if there is a key, there must be a lock, and if there’s a lock, there’s an obstacle. Instant promise. The fact that this key is so ornate just draws us in deeper. The deep, cool colors make it gender neutral, so anyone who likes that bit of darkness, that edge, to their books is going to be drawn to this one. Boys are harder to attract, on so many levels. It’s hard to get them in the bookstores in the first place, because we as a culture have this strange obsession against boys reading- that they have “better things to do”. Boys are much more self-conscious than girls about being seen with books, and many are worried that they’ll be made fun of. Covers with lots of soft colors or with glammed up girls across the front are unlikely to find their way into boys’ hands even if the story itself is designed to appeal to both genders. 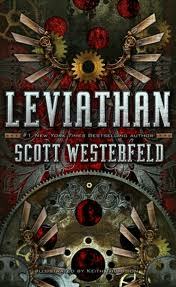 So for this, publishers rely on things like Leviathan by Scott Westerfeld. It’s a bold cover, strong colors, red and steel blue-greys and dull bronze. We know right away that this is steampunk, which is something boys can really sink their teeth into because it’s machines and grease and shop class on a grand scale. (No, I’m not saying girls can’t sink their teeth into steampunk, but we’re talking about boys for the moment.) The wings give us flight, but there’s something almost skeletal about them, unfinished- there are obstacles and threats visible even from the cover. Boys are less likely than girls to pick up books with portraits on the cover, but on other issuues of the cover, at least it’s a boy (and he isn’t so pretty that a boy will a: make fun of it, or b: feel uncomfortable with it). This is something a boy feels safe picking up and being seen reading. So, AUDIENCE PARTICIPATION TIME: what cover has jumped out at you recently? What about it made you take that closer look? 1. Follow this blog: lots of book reviews, meditations on writing and the book industry, and lots and lots of pretty covers. 2. Tell me about a cover that has captivated you recently, and what about it caught your attention. What did you like about it? Why did it work? Make sure you include a name and an email in the comment so I can contact the winner. That’s it, folks, and that amazing book can be yours! Update 4.24: And, thanks to random.org, we have a randomly generated winner from the comments! Thank you so much to everyone who participated, and keep an eye out for more giveaways in the future. Congratulations, Danah! 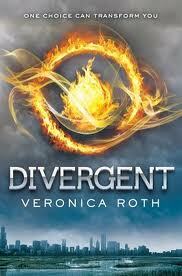 You’ve won the ARC of Divergent, and will be shortly getting an email from me to arrange details. The book cover recently that pops to mind served me the wrong way actually – it made me keep putting the book down each time I thought of reading it. It was Rick Riodran the Lighting Thief and the cover was so busy that though the title intrigued me, and the concept was neat – it took me about 3 years after picking it up from the Library sale to actually read it. once I read it, it was a good book- and I read the entire series. The question for me is what book hasn’t? So often that exactly why I pick up a book that I haven’t read. A recent one for me was Reckless by Cornelia Funke. Something about having a glowing green mask staring out at you just tickles my fancy. Another recent one was Green by Jay Lake. It has a girl, hanging upside down, dressed in stealth clothes with blood dripping from her face. That just promises a female adventure story with plenty of intrigue. Now I just have to find time to read them. The book cover that has captivated me recently is Wither by Lauren DeStefano. I just bought it together with 3 other books last week. I haven’t read it though. 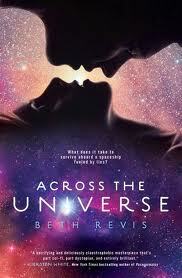 But anyway, the book cover is just beautiful! There’s something about it that totally sucked me in. Something dark, sad, & mysterious… I love the “old-fashioned” feeling it gives. I also love the back cover. It makes you think the book will talk about laboratory experiments, like making drugs/antidotes and test them on humans. Something like that.. And since I’m currently enrolled in a Chemistry class, i think that’s why it worked for me. All this worked together because it really brought in the most important details of the book into one scene that was UNEARTHLY.